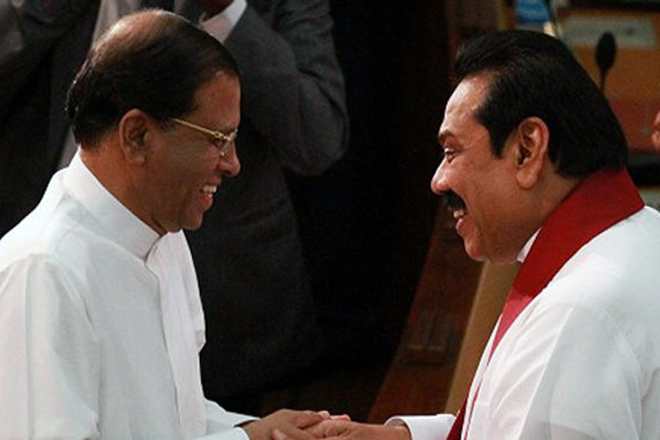 General Election Plans Create Tensions Among Mahinda Maithri Factions! 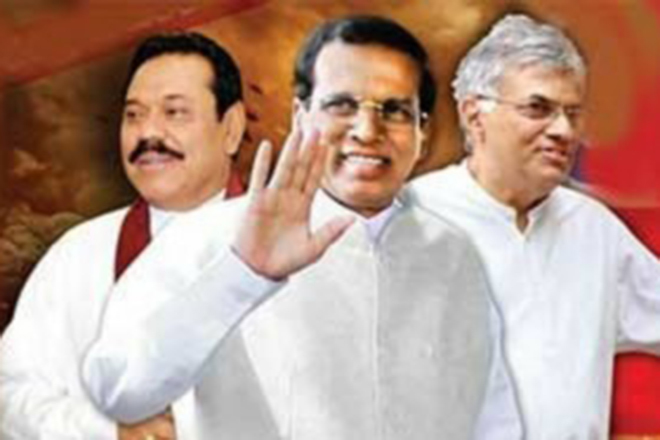 A critical situation has caused chaos among the sections of the United People’s Freedom Alliance (UPFA) as well as the Sri Lanka Podujana Peramuna(SLPP) on how to contest the forthcoming general elections. 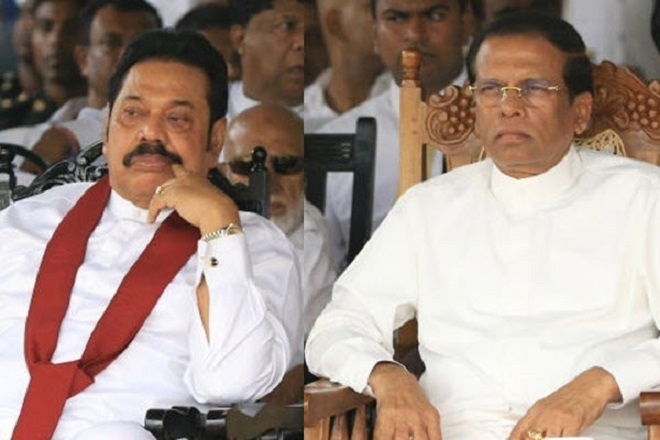 The situation of chaos have developed owing to the different motives of the factions got together to gain political power under the patronage of president Maithripala Sirisena and also the newly introduced prime minister Mahinda Rajapaksha. President Maithripala Sirisena being the chairman of SLFP is facing a difficulty that the party did not contest an election under party symbol ‘hand’ which won’t be proposed as the symbol of forthcoming general election. The followers as well as foremost colleagues of president are the parliamentarians elected under betel leaf, the UPFA symbol. Minister Mahinda Amaraweera one of the few closest men for president is also the chairman of UPFA in which major party is the SLFP. Meanwhile, deviation of prime minister Mahinda Rajapaksha from SLFP is also having a considerable blow for SLFP. Being the man who caused a serious deterioration of SLFP, Mahinda Rajapaksha is the man with whom the stalwarts fo SLFP and UPFA have to get together to form a government next year. 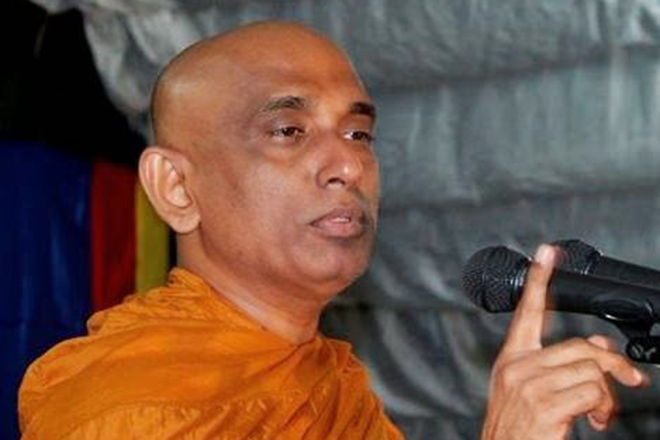 The SLPP factions, loyal to Mahinda Rajapaksa, are expecting that they should contest the polls under the lotus bud (Pohottuwa) symbol of own party. They were victorious in majority of local councils at the local polls held in February this year. However, the parliamentarians who acted as SLPP leaders were members of SLFP which is a problem for them to contest as SLPP candidates. These MPs including Mahinda Rajapaksha who worked under the banner of the Joint Opposition took membership of SLPP a week before the opening of the period for nominations. Foremost organizers of SLFP such as Anura Priyadarshana Yapa, Lakshman Yapa Abeywardane, Chandima Weerakkody, T.B. Ekanayake, Sumedha G. Jayasena, Susantha Punchinilame, Sudarshani Fernandopulle and Taranath Basnayake also received SLPP membership. Most of the SLPPers argue that Pohottuwa would be an attractive and appealing symbol, and therefore it would be appropriate if all could unite under it to contest the elections. 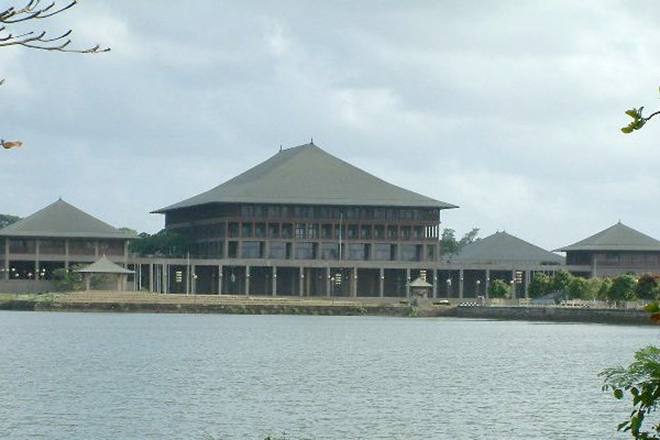 However, UPFA parliamentarians those who align with president Maithripala Sirisena are in a different view it is learnt. Minister of Skills Development and Vocational Training Dayasiri Jayasekera said he was not ready to take up the SLPP membership. “I am not willing to get its membership merely for my convenience in getting elected to parliament. There has to be a mechanism to protect the SLFP,” he insisted. So the minister said he would seek to contest under a broad alliance under the leadership of President Maithripala Sirisena and the Prime Minister Mahinda Rajapaksa. Earlier, UPFA Secretary Agriculture Minister Mahinda Amaraweera said it would be better if all could contest under his UPFA, betel leaf symbol.